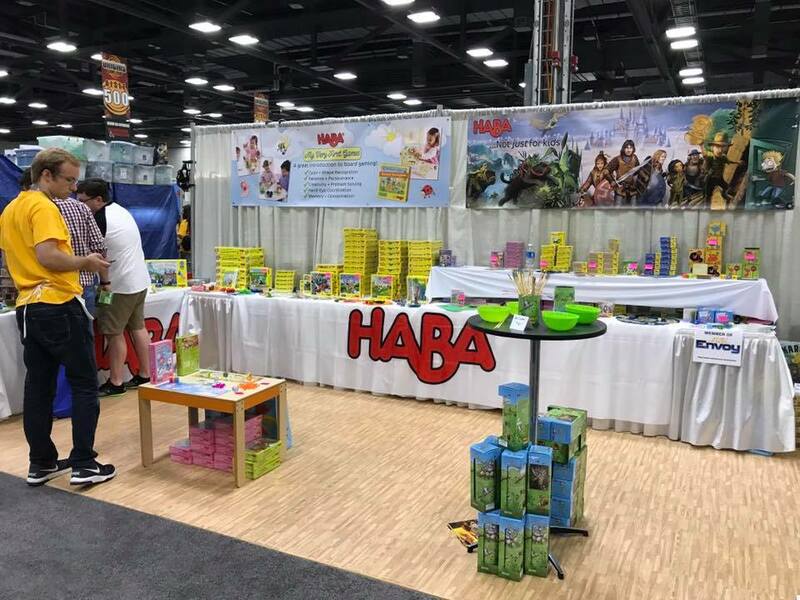 Origins Game Fair still manages to be one of my favorite cons, not because of the sheer volume of publishers or diversity of events, but the combination of scope, accessibility, and locale. 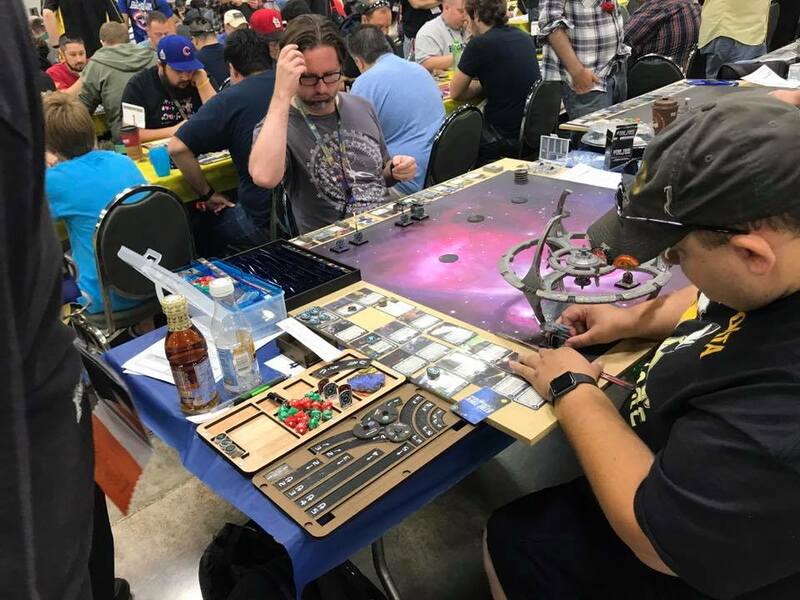 Columbus is a great town, and the con is the perfect size – big enough to feel substantial but not so big as the crush you in a swarm of people (a la Gen Con). 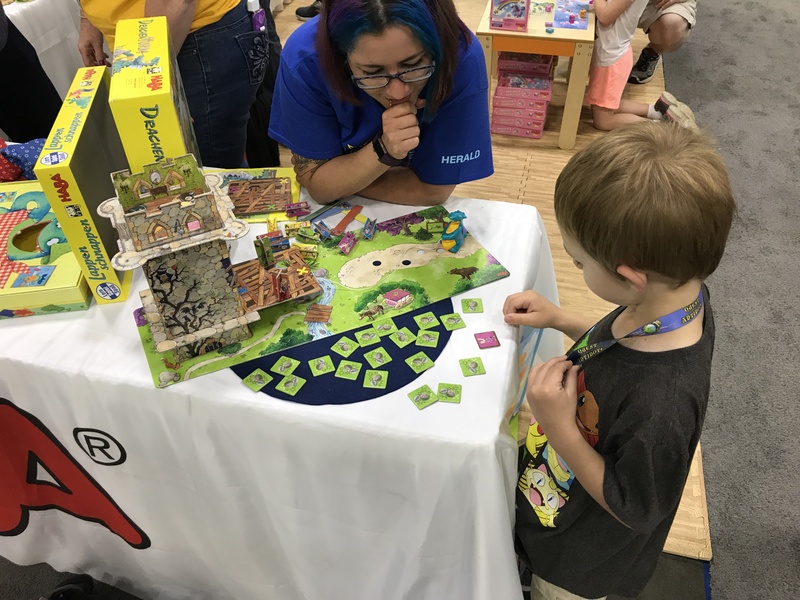 We just returned from yet another Origins – five days of gaming and events in Columbus – and it did not disappoint. 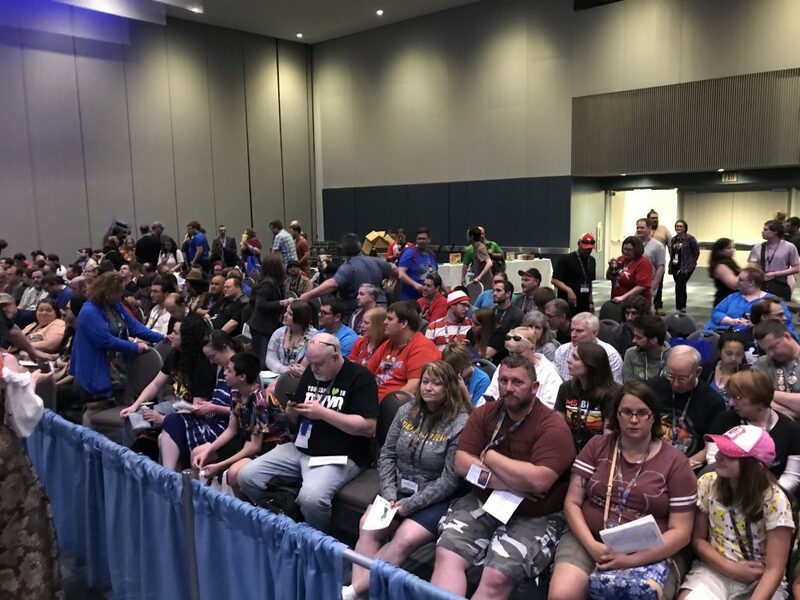 The final attendance numbers put it at more than 10% growth over 2016’s con, and it certainly felt bigger than last year, both in the number of people packed into the aisles Saturday afternoon and the engagement of fans with publishers and designers. One of my favorite things after a con is to sit down and do a brain dump – getting everything out that I saw and did and sharing some of my favorite memories. 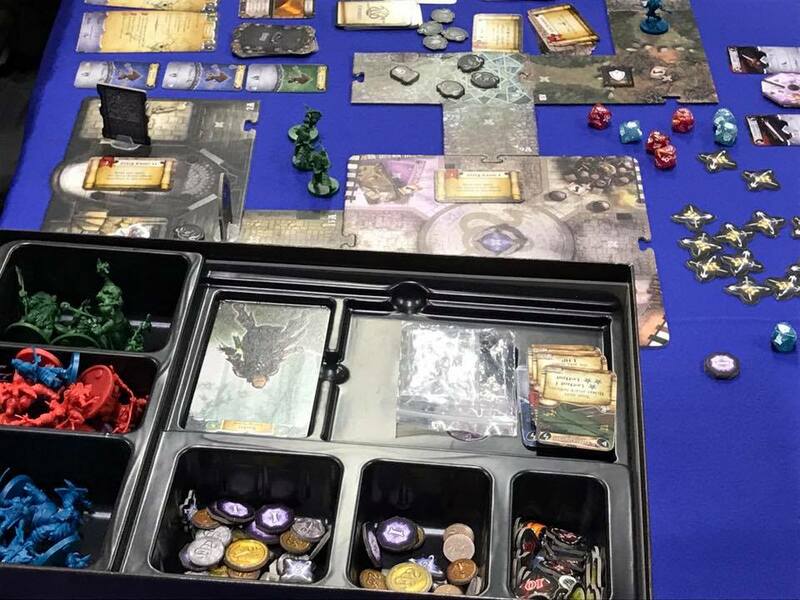 While this won’t be a comprehensive review of the con, or of the games that we played, it will give you a sense of what it is like to attend one of the larger US cons, and why Origins remains a favorite. 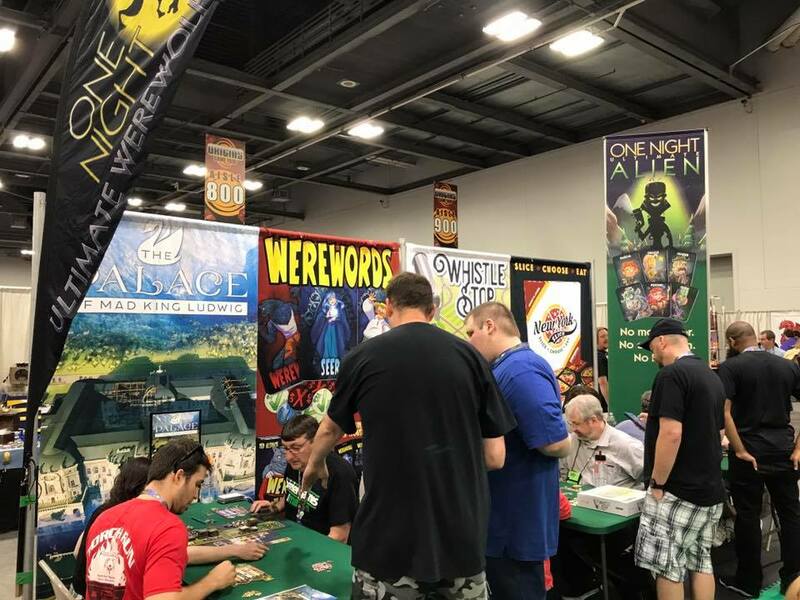 Origins 2017 looked and felt a lot like Origins 2016. Many publishers staked out the same floor space, and both the Gaming Hall and Exhibition Hall were fairly full. Fortunately, last year’s construction on the interior of the convention center was completed, meaning more food and drink options, less crowding for event spaces, and easier access to some larger events. 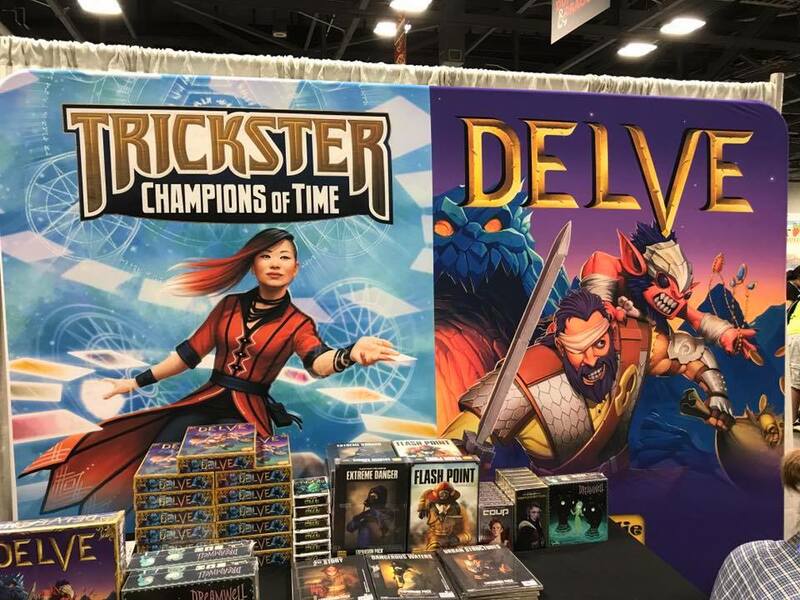 True Dungeon made its debut at Origins as well, and while we didn’t partake this time around, by all accounts it was a success, albeit not as large or as in demand as Gen Con in years past. The registration debacles of previous years weren’t quite as pronounced either. The lines were still long. The wait for event tickets was still ridiculous (we spent nearly 90 minutes in line on Friday for a single event), but computers didn’t break and no one was forced to sit out a good chunk of the con. 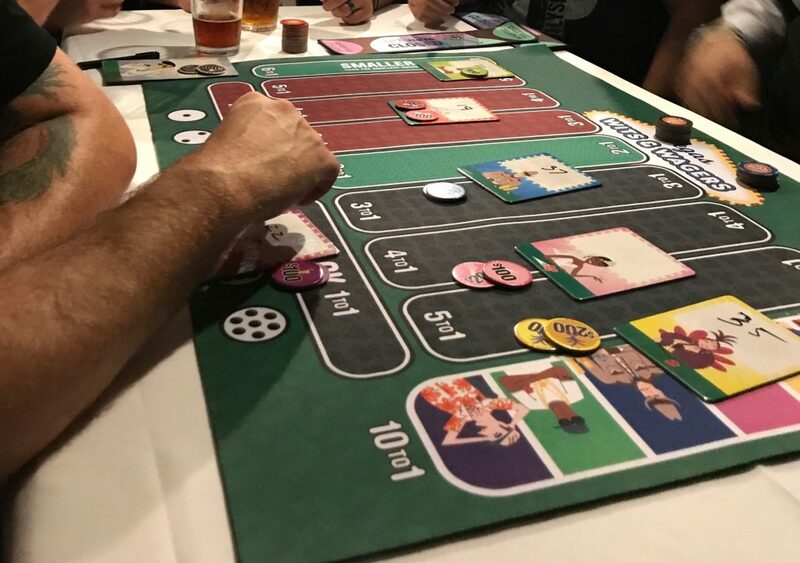 North Star Games hosted a Wits and Wagers event on Thursday night to showcase the pending launch of their new Vegas Edition of the game – hitting Kickstarter during Gen Con. Hosted at Barleys across the street from the con, it was a blast, and a great way to kick things off. Right after the North Star event Nerd Nights held one of their famous late night events and game giveaways. With dozens of games up for raffle and Extra Life Charity donations, it was a great way to stay up way too late with fellow gamers. The Origins Awards were a bit of a production last year. 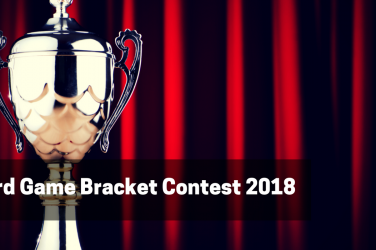 With banquet seating for nominees and voters, press area, and game giveaways for attendees, it was a great first attempt at making the awards relevant. 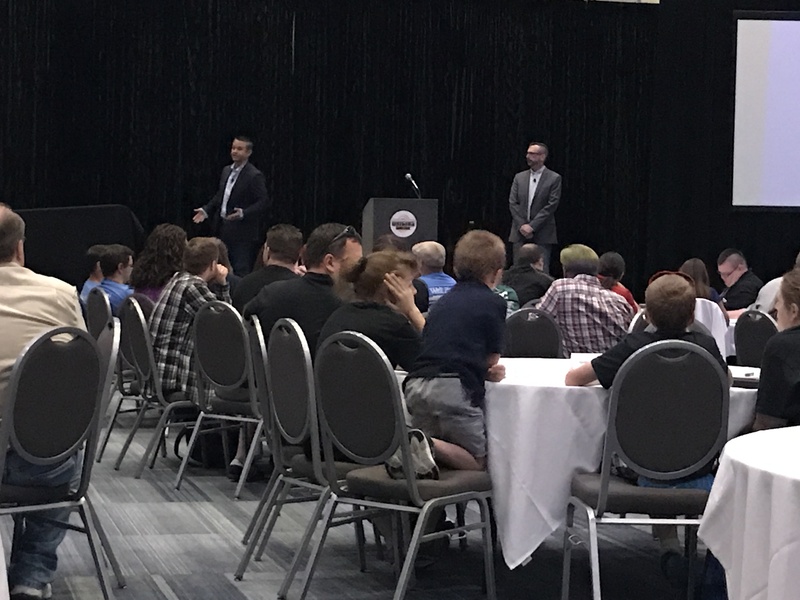 This year, they cranked things up a notch and filled the room with a couple hundred fans. 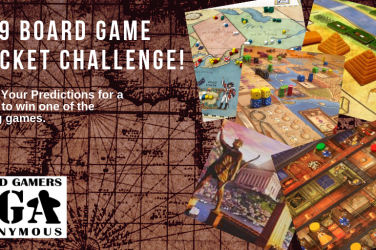 Hooting and hollering at a board game award event – never thought I’d see the day. 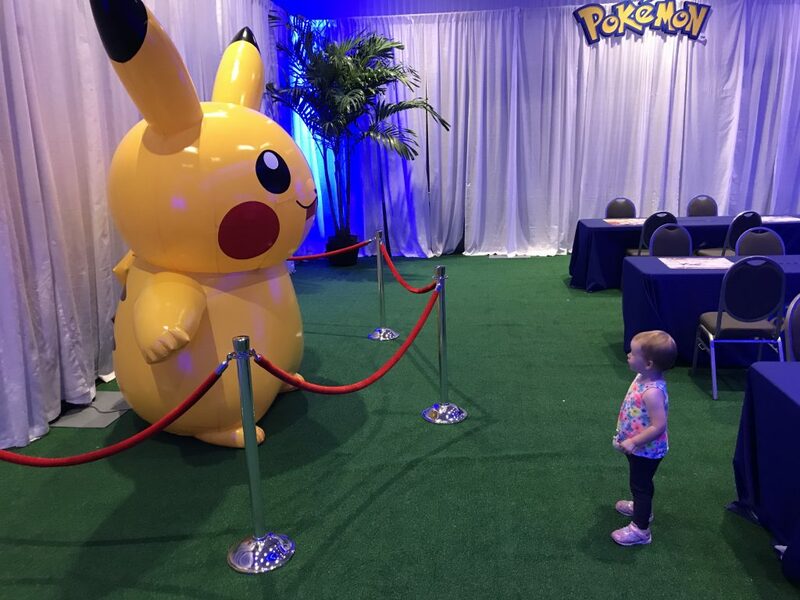 Special shout out to The Pokemon Company, which hosted the Family Room this year. My family tagged along this year, likely to see just what exactly I was doing for four days every few months. My son had a blast watching Pokemon on the big screen, playing the card game, and coloring in the family room. Huge thanks to those guys for holding down the for 12 hours a day throughout the con. 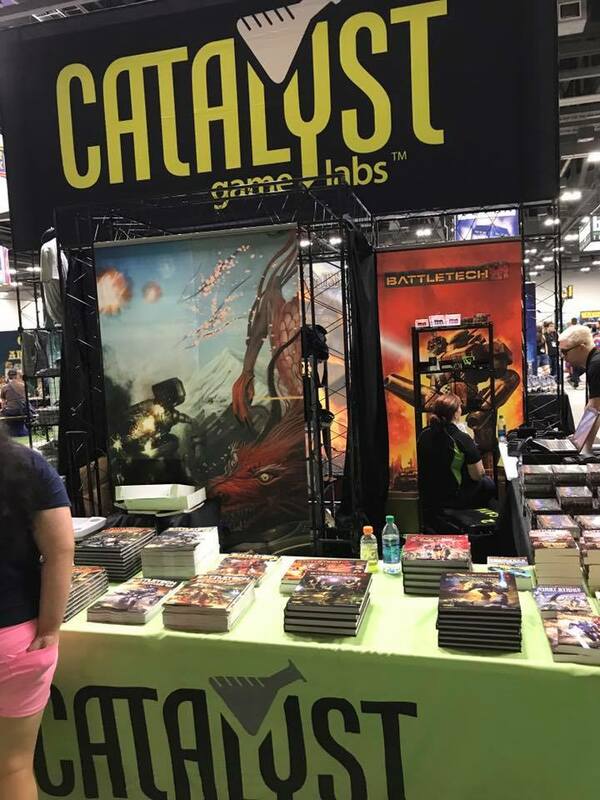 One of the many reasons I like Origins is that you see a lot of smaller publishers who likely couldn’t afford a booth at Gen Con. 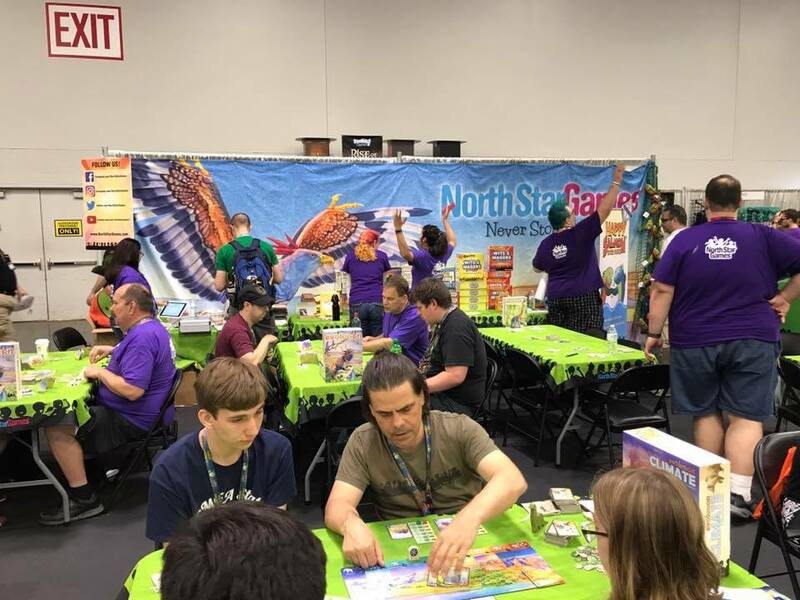 A mix between small town local con and larger national presence, Origins gives you a chance to try out things you’ve never seen before alongside big name publishers previewing or releasing their big summer games. 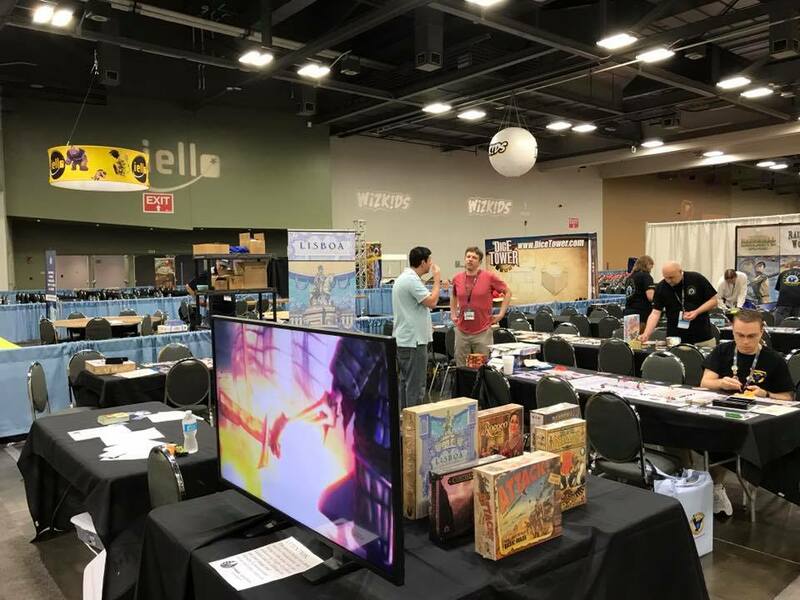 In the Gaming Hall, where most of us spent Wednesday, there were several big presences including CMON who brought a small army of volunteers to teach their games, including The Godfather, Ethnos, and Lorenzo Il Magnifico. Eagle Gryphon Games had a smaller presence in the Gaming Hall, but for heavy euro gamers like us, it was the place to be because Vital Lacerda was there all five days, teaching his newest game, Lisboa. In the exhibition hall, booths were subdued but lively, busy all four days, and by Sunday essentially empty of product. 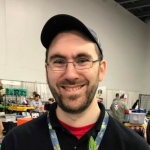 A lot of publishers suffered from late deliveries or missed deadlines including Stronghold Games who disappointed many Terraforming Mars fans (myself included) by missing their target for the first expansion. Mayfair similarly only brought 48 copies of Caverna: Cave to Cave and promptly sold out (with some line shenanigans to boot). 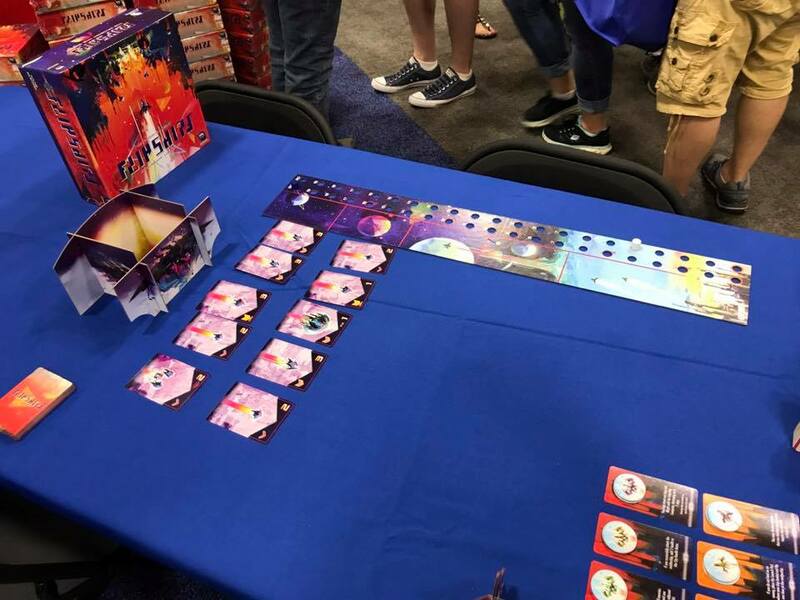 But for the most part, it was a bumper crop of new games from booming publishers like Renegade Games (who flew in Flipships and Sentient), Catalyst Games (with their D&D Dragonfire demoing), and WizKids, who previewed a slew of new board games. Somehow I didn’t realize this was even in the works. 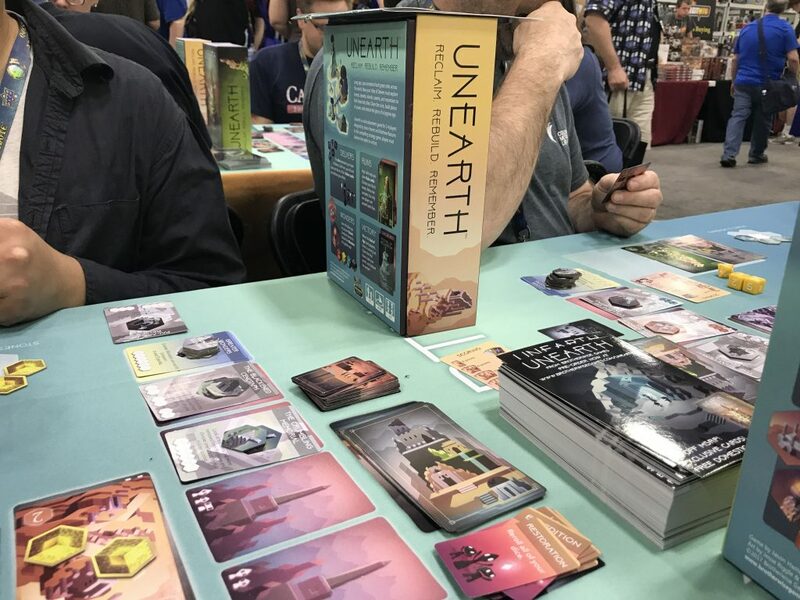 Unearth is the new game from Brotherwise Games, and their first non-Boss Monster release. As such, it could have been anything – another video game style adventure game, a spinoff of sorts, or something bigger and meatier. 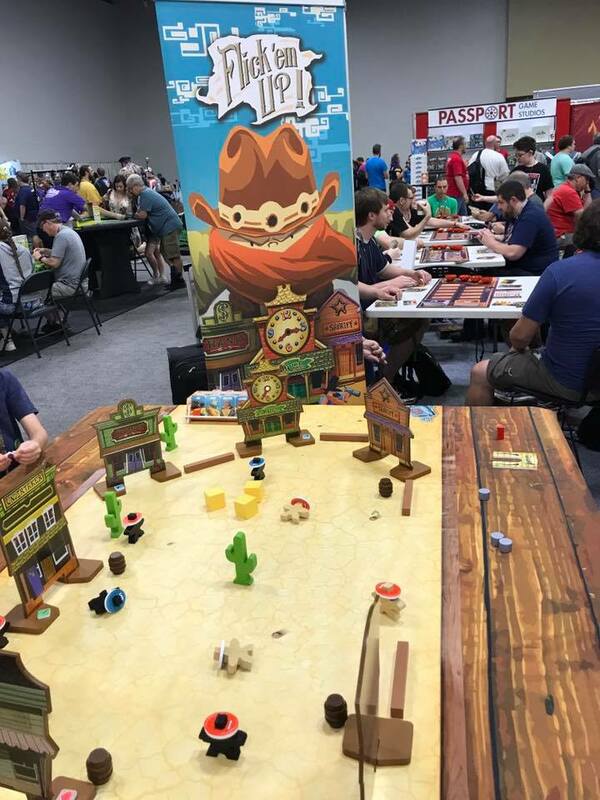 Instead, it’s a fun, dice driven area control game in the vein of Smash Up with a beautiful aesthetic and a smooth flow that will make it a perfect light-mid weight game. Very excited to get a full review of this up soon. Less surprising, but equally exciting was Lisboa, which Eagle Gryphon Games flew in early to debut alongside Vital Lacerda. Not only did Chris snag a copy (and Vital’s autograph), but we had a chance to sit down and play the game and it’s a beauty. My copy is still in the Kickstarter queue waiting to arrive, but I’m more excited than ever for this one. 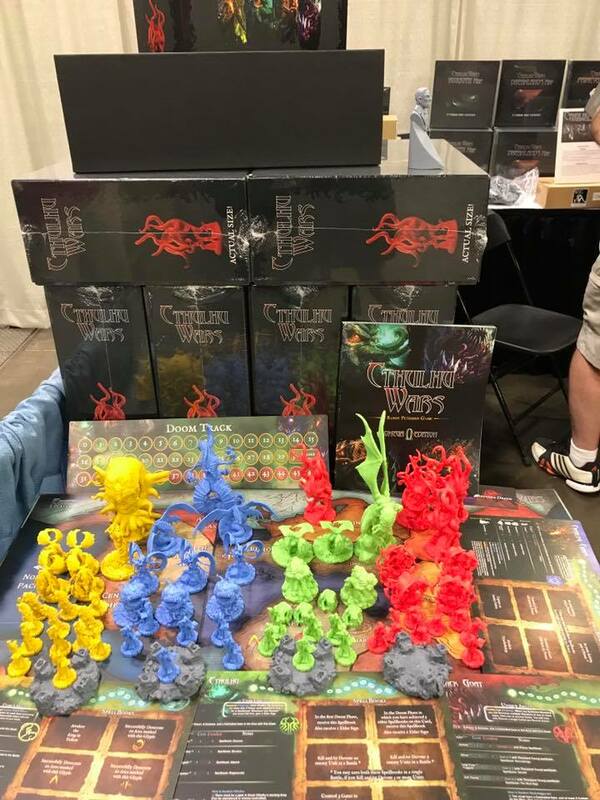 Ares Games had Sword and Sorcery for sale as well – a big, meaty dungeon crawl with several unique mechanics that while very familiar in terms of theme had just enough new ideas to make it worth further play. 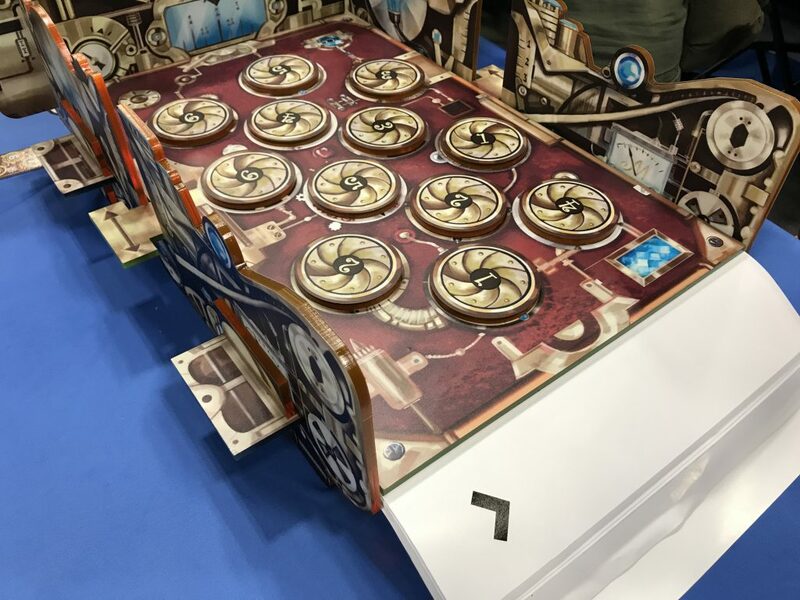 Also available for demo (but not purchase) was Hunt for the Ring, a game that I am very eagerly awaiting. 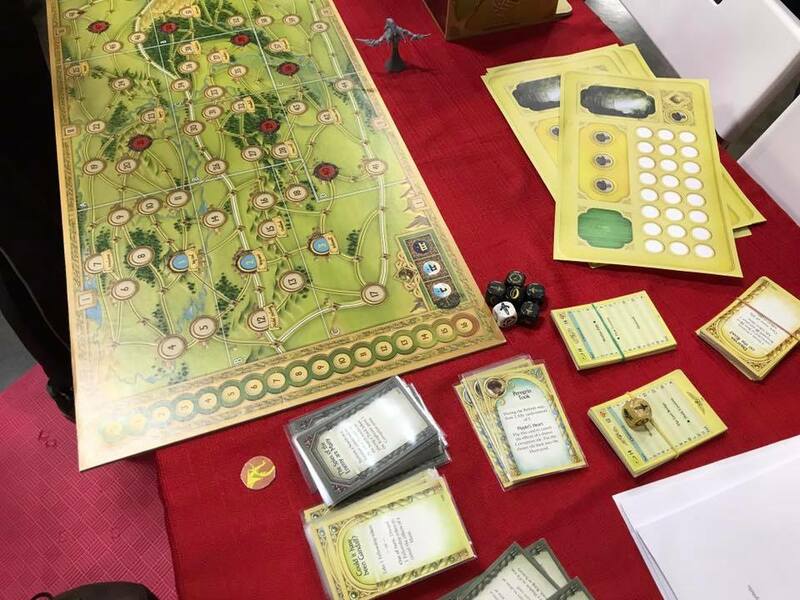 A hidden movement game that plays out the first part of the Lord of the Rings (before War of the Ring starts) as you get the hobbits from the Shire to Rivendell. 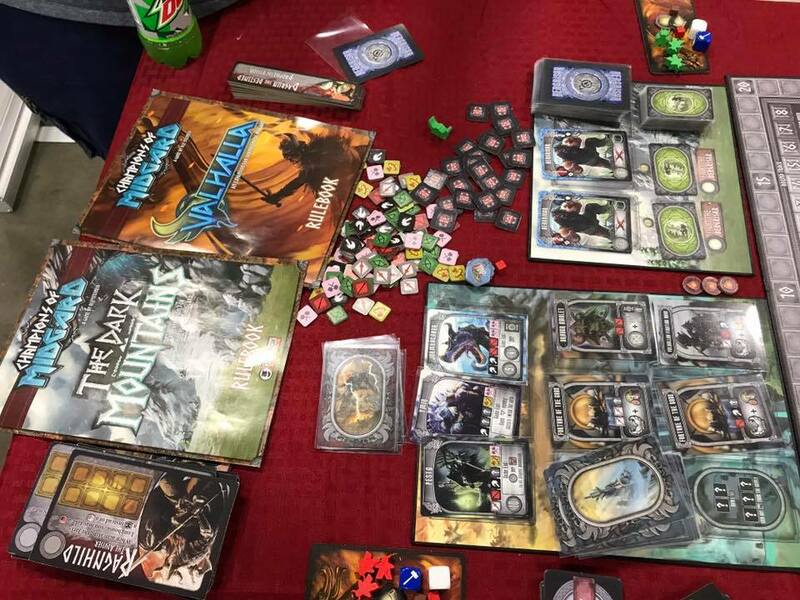 One of the great things about a con is that you can sometimes stumble into games that have been out for a bit but that you never had a chance to play. 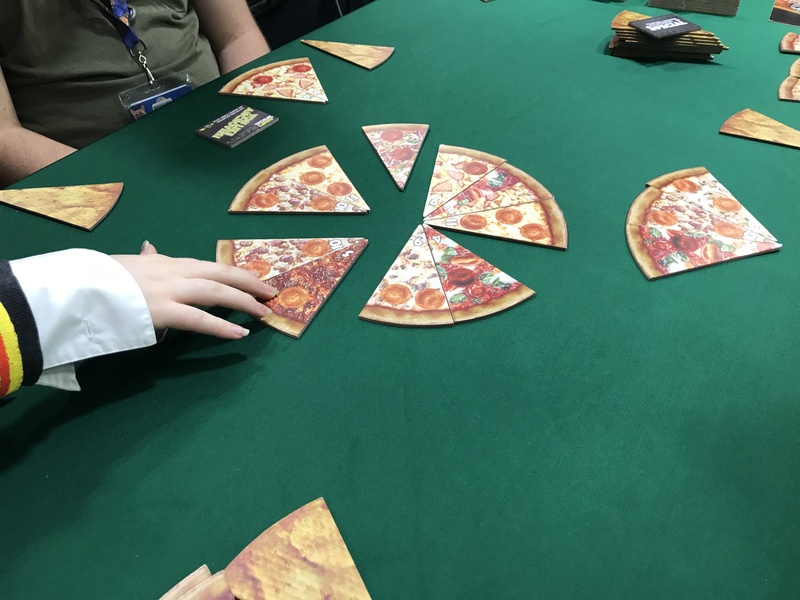 We did just that with both New York Slice, from Bezier Games and Jump Drive from Rio Grande Games. Both are fun, quick, accessible games that take 20 or so minutes to play. 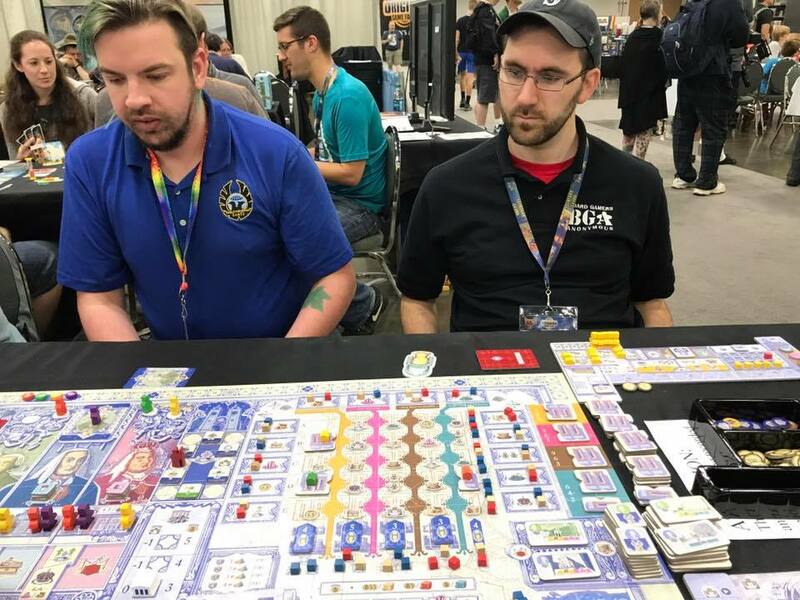 Bezier was also showing off The Palaces of Mad King Ludwig and Whistle Stop, two heavier games slated for later this year. We didn’t get a chance for a full play of either, but the time we spent with them made us eager to give them a go. 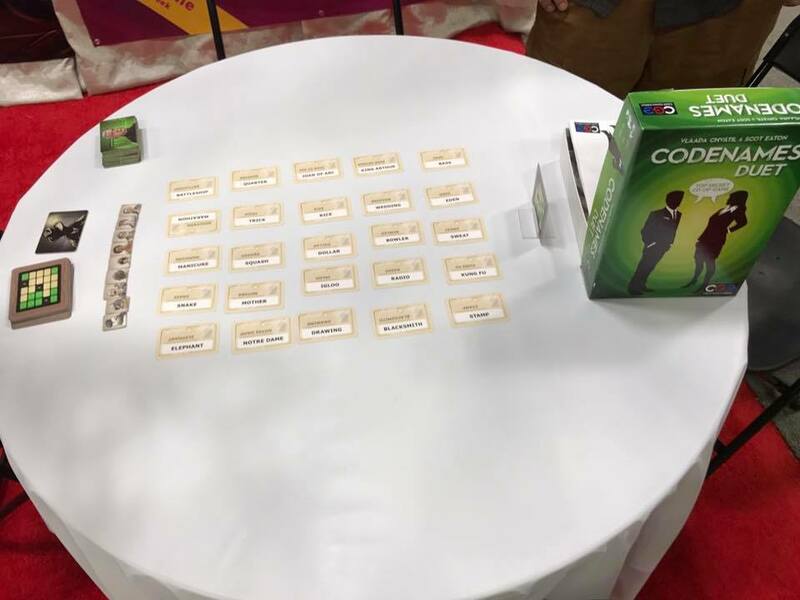 The game everyone was eager to try was Codenames Duet, a clever spin on the Codenames formula for two players that, rather than just resetting and revamping the Codenames rules, finds a fun new way to engage two people in the familiar clue-based guessing game that is Codenames. 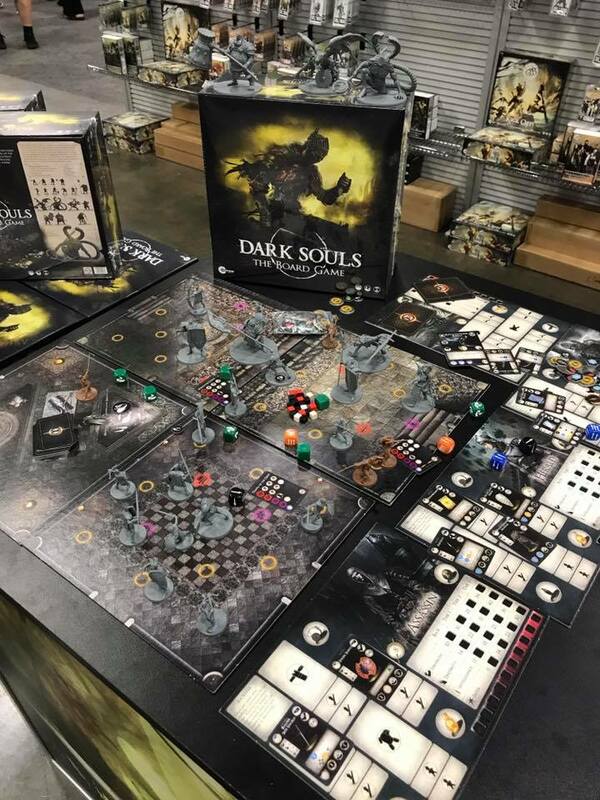 This one will be a hot commodity at Gen Con this year. 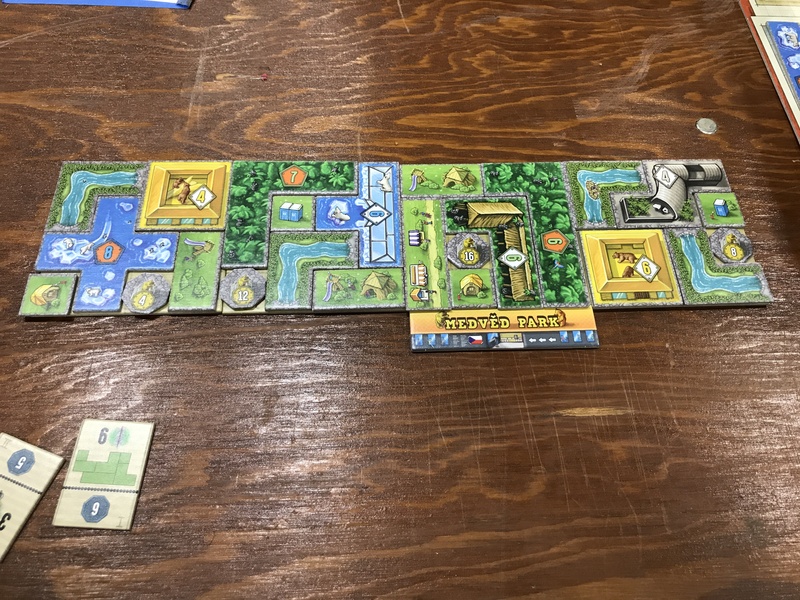 While I wasn’t able to get my hands on Cave vs. Cave, I did have a chance to sit down and play Barenpark. 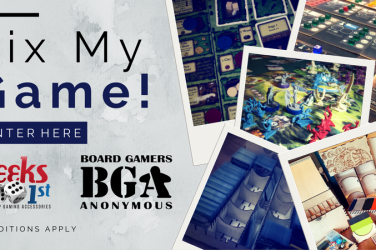 It’s another quick, accessible game and we had a lot of fun with it. 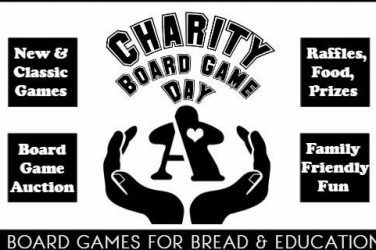 It’s not going to be the centerpiece of game night anytime soon, but it’s one of those games you’ll probably be seeing around for a while. What, you thought I’d skip over Century: Spice Road? 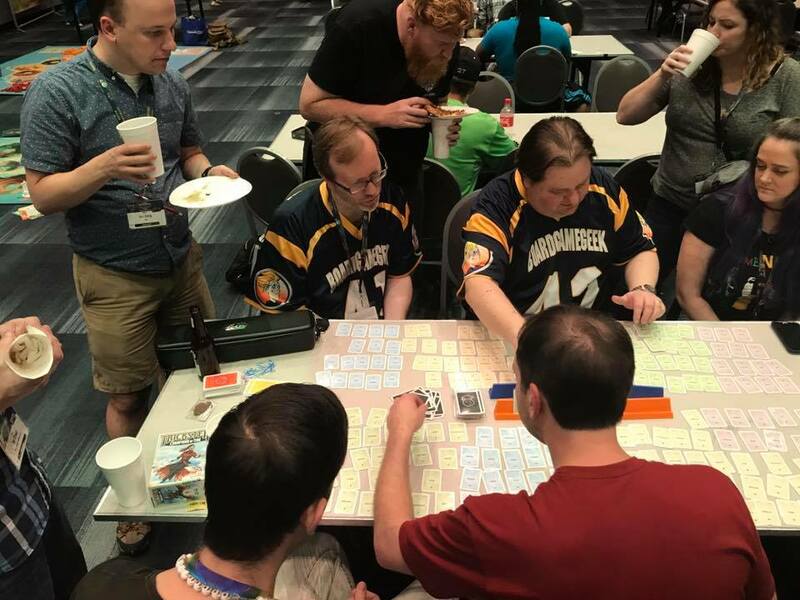 The big release of the con was a huge hit, selling out by Saturday and finding play just about everywhere. 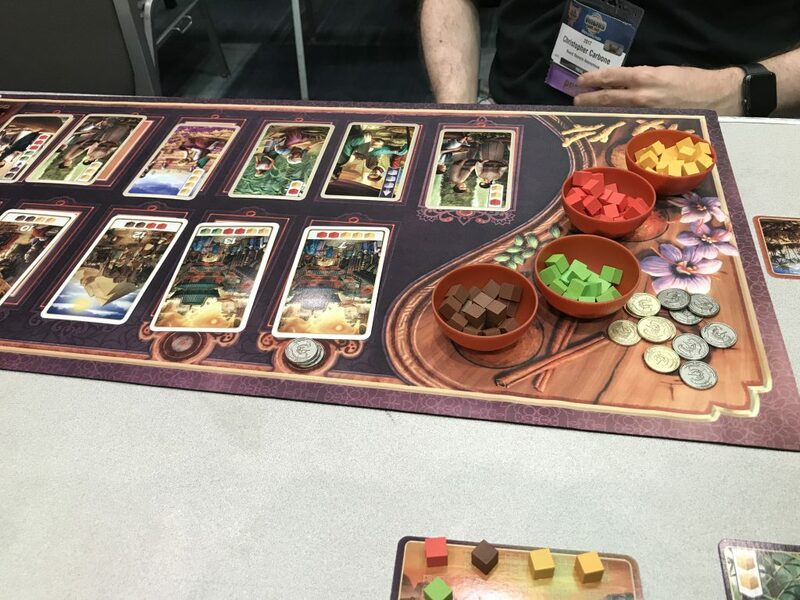 It’s not much heavier than Splendor, so the euro gamers among us won’t be playing it endlessly, but it’s going to be a hot seller through and through. This is a clever new system and I’m excited to see what they do with the next two in the trilogy. Curt at Smirk and Dagger is always fun to chat with, and he had a couple of really cool new games to show off this year. 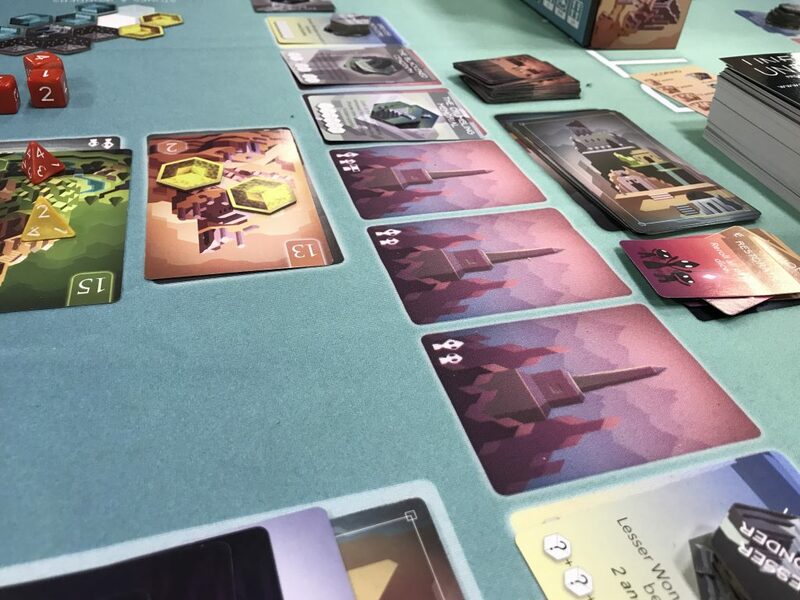 First up was the Origins release, Biotix, which is light enough for families (and not too mean), but strategic enough for gamers who like a bit of that Smirk and Dagger bite to their games. 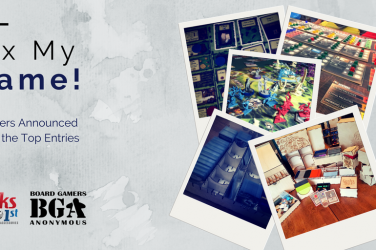 We’re even more excited, though, for his Gen Con release, Paramedics Clear! 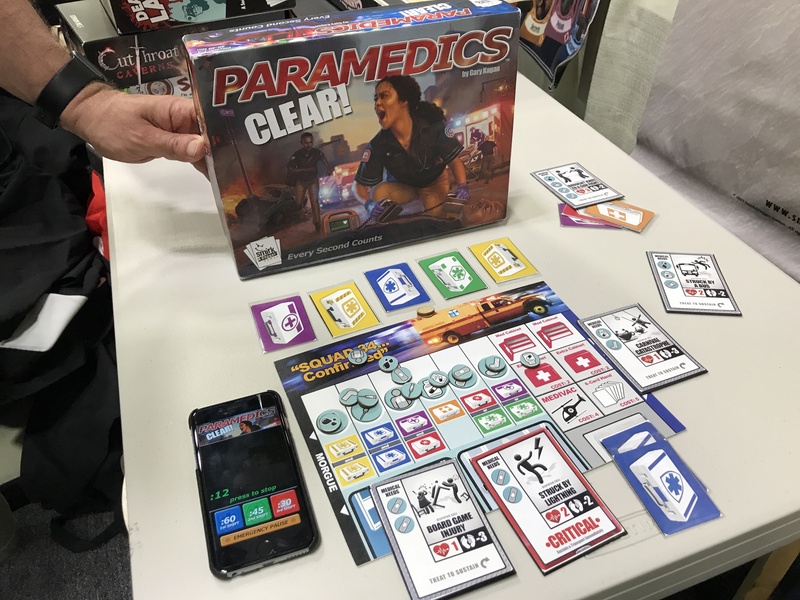 An app-driven game about trying to save the most people as a paramedic, the game is a stressful, engaging romp and it’s going to be a blast when ready. Origins was a ton of fun. For me it’s almost a local con – a short 3 hour drive away – and in a town very much like Pittsburgh. The fact that it also happens to fall on my birthday weekend most years is all the better, meaning I have a good excuse to go ?. 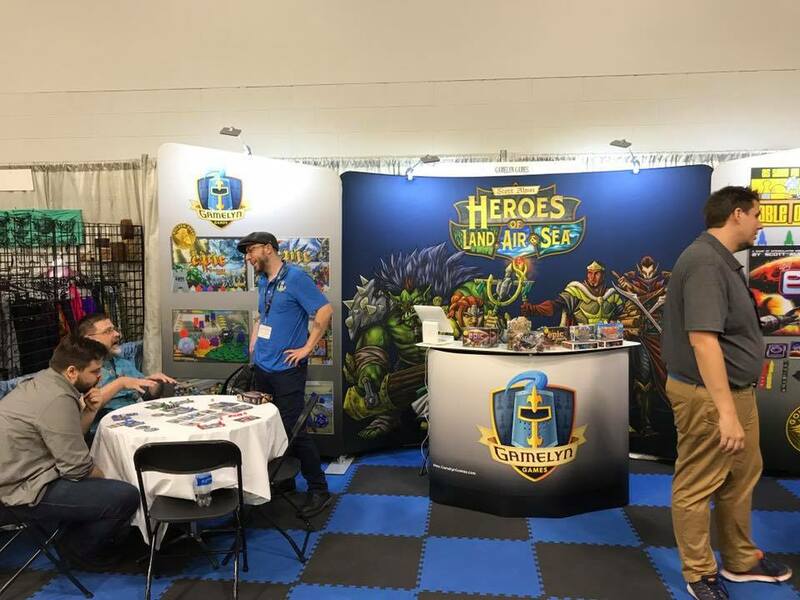 From a few surprising games that I didn’t see coming to others that had a bunch of hype and managed to live up to it, Origins 2017 was a great con, and has me that much more excited for the games that are just over the horizon for Gen Con in August.